In need of roofing repair? We can help you out. The roof on your home provides protection from all the elements like sun, wind, and rain. When your roof is in disrepair, it fails to provide protection for your home, and a lot of damage can happen as a result. At Slippery Slope Roofing we know how important roofing repair is, which is why we provide quality roofing repair and bring over 50 years’ worth of experience to all our jobs. If you are unsure if you could benefit from roofing repair, here are a few things you can look for: If you are missing a lot of shingles, it is a good sign that you need roofing repair. If your roof is sagging in places, or looks sunken in, it needs to be repaired. Finally, if you notice any water leaks in your home or around the roof, you need to get it looked at before the water leak causes a lot of damage. Water leaks can cause flooding in your home, which can ruin walls, ceilings, flooring, and furniture, not to mention that it is a pain to get fixed. If you notice any of these things going on with your roof, you should have your roof inspected as soon as possible. If you are looking for a reliable and honest company to do roofing repair on your home in the Midhurst, Ontario area, contact us today at Slippery Slope Roofing. We are accredited by the Better Business Bureau, so you can have peace of mind knowing that you are using a reputable company. We also only do one job at a time, so we are completely focused on your roof. We do not have to juggle schedules, and we will come every day until the job is done as long as the weather cooperates. We also don’t cut corners to try and save money. We do quality work, and we do all repairs the right way. 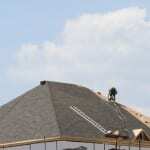 Let us help you with all your roofing repair needs.